Balkan Rivers Trailer now online! Next spring, we will present a 15-20 minutes documentary about the Balkan Rivers – their uniqueness and threats. Sneak a peek and watch the trailer! Please tell your friends! Skopje, October 21, 2014 The controversial hydropower project Boskov Most inside the Mavrovo National Park in Macedonia is estimated to be twice as expensive as originally projected. This will be one of the topics discussed at today’s meeting of NGOs with members of the Board of Directors of the European Bank for Reconstruction and Development (EBRD). The NGOs demand the bank’s withdrawal from hydro projects in the national park. 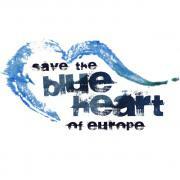 One of the key areas in our campaign is the Sava River, which has been under high anthropogenic pressure. The international coordination team is in a partnership with the Croatian Society for Bird and Nature Protection for the protection of the Croatian Sava. To supplement the Team Sava, the coordination team is currently looking for a national coordinator for Croatia and countries downstream (Bosnia&Herzegovina and Serbia).